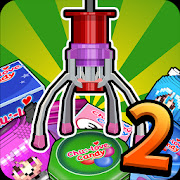 Claw Game Master 2 is the sequel to the most popular doll grabbing game in Korea, Claw Game Master. The Prize Pusher has been added to give a new exciting experience that's a real game changer. Each item has its own distinctive point value, and pictures will be added to the album according to the points gained.